Why the other Gadget fails at times? The other gadget is made using the Gadget API. The API renders the gadget as an iFrame with all the parameters appended to the iFrame URL. When the iFrame url becomes too big, browsers have issues rendering the gadget. This primary reason behind this is that the API appends so many style parameters to the iFrame URL thereby making it pretty lengthy.The current page url is also a parameter.That is why some people complain that it is working on the home page, whereas it doesn't work on some of the post pages. The reason is that your home page url is shorter in length than your post page url. So it is almost impossible to make the gadget error free. What’s special about this new Widget? Thumbnail Dimension – The gadget can generate square thumbnails of any size. Use this option to set the dimension of the thumbnail. Use Full Feed – By default the Widget will use the Blogger Summary feed which is smaller in size. If you select the Full Feed option, it will use the Full Feed which is bigger in size, and hence the Widget would get slower. The advantage is that, you would get thumbnails of YouTube videos that you have posted. Sorting – Helps you in displaying the recently published posts or recently updated posts. Now that you are clear with the options, use the below button to add the Widget to your Blog. Hmmm at the moment, I’m a little lazy to create a Demo Blog. You can expect that sometime soon. If you have any doubts or questions or suggestions, feel free to comment here and I will try my best to reply to each of your comments. the previous one always failed to load. I tried to use your other post yesterday, and I followed your direction to a tee, but after a few hours of headache, I gave up! You must have heard my cried :-) Thanks for sharing this! @Admin - on which blog? how do u show the title under each thumbnail in grid mode? Thanks, I was having problems with the previous gadget. However, I was able to feed the igons in a "grid" like your illustration, but I can't seem to be able to do this with this widget. I tried align left, no align and margin 5px and no margin with no other options (text, comments, etc.) However the icons only display in a tall column! Thanks for the improvements, I look forward to using them!! P.S. I also re-sized the default image width to 80 px so that three could fit in a "row" in my 300px side-bar. So ignore the previous comment. To get a Grid Layout, Click on the "Grid Layout" button in the widget installer, adjust the settings further if needed. Then click on the "Add Widget to Blog" button. WOW! Love the new grid btton. It works like a charm. Any way to type in the spacing of pixels instead of haing a drop-down of 0 or 5? and alter it according to your needs. will give a 10px margin around the image. The advantage of this method is that you can style the image to a better level.Well you can see it :).  You might probably have to reduce the image dimension to around 85(for your current sidebar width) to use this CSS. On blogger, the rest of my sidebar lists use bullets. They are UL's and CSS is set up to render them with a graphical 'bullet'. How can I set up this widget's list of links with the same bullets? Is the list being displayed as a UL? If so, what CSS would be needed? If not displayed as a UL, what hacks do you suggest? @shimniok - i see that you just need a plan list of links without any snippets or thumbnails. Currently using as gadget (showing recent post thumbnails only) at the bottom of all pages. I also wanted to use the same effect to embed in a static page but using thumbnails of one of my labels. Is it possible to run both scripts? Is it possible to 'post' in a static page. @Paz -i guess that you are trying to add it as the page content.Yup that is possible. 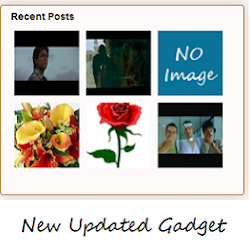 Configure the Gadget, click on add widget to Blog. From the Add Widget Page, Click on "Edit Content" and Copy the Widget Code. You can paste it into your Static Page(Post Editor > Edit HTML/HTML) and publish the page. Hello, very nice fast widget. Thanks. I would use three widgets from three blogs, but all posts are in one widget. How can i solve this? I hvae three different widgets from three different url's. :) Thanks for answer. If I choose on Snippet Style “Summary and Thumbnail”, the gadget does not translate the HTML tags neither "#nbsp;" nor " " for non-breaking space. But it translates it if I choose “Summary Only” — strange, no? I use to set non-breaking space between day of month and the month name to not have a break in between at the end of a line. In the post it works, but not in the gadget! Would like to know how I can correct this myself. Thanks for hints! I apologize, because I’ve installed again the older version of the widget instead of the new one. nice. ei guys can u send a link on how to customize google adsense? or how to create image ads on the sidebar? its not stable in my blog, i need to refresh, sometimes a few times to see it. hello, can we try to show Posts Author like show commentnum? Hi, the widget is very interesting. I need to place some widgets in diferent places of template, but when i do, all information appears in the same place (the first widget included). Is possible create diferents widgets of Recent Posts and customize, through CSS, in diferent positions of template? Thank you! This is exactly what I was looking for , thank you! One problem though, I am using it on a static page, grid style, to show images from my blog - works perfectly. But then I added another one in the sidebar of my blog to show thumbnails from another blog and these thumbnails now show up on my static page in a list under the others. I m using it, but in my URl post it showing utm_source=BP_recent.. How to remove it? Hello, the plugin is great. I just wonder if i put it in the home page, that the widget avoid to show the present posts already in the page but shows older post instead. Let’s say if i show 4 post in the homepage that the widget shows the posts older than these ones. Very nice. I'm now using the Grid and working perfectly on my blog. This is way better than the previous widget. Thank you so much for this. I have set up this gadget to run horizontally across the top part of my pages, showing Video Thumbnails only. I'm glad that this can be done, instead of just the vertical orientation. I chose this 2nd version so I could make my Thumbnails larger. Thank-you much! Do you know what could be causing this strip of Thumbnails to disappear everytime I add a new post to the page? The new posts are added down on the lower half of the page in a separate section, so I don't understand how this is affecting the Thumbnail code. Since my blog is a Documentary Blog that's fairly new, I am adding anywhere from 1 to 30 new Video posts per day, and in order for the thumbnails to reappear and be seen, I have to go into the "Layout" section and click "Save" after each new post (You can see why that is a problem). Once I do that, the Thumbnail strip of videos come right back where I originally placed them. This is a strange thing to happen, but I see a few other people have mentioned a similar problem, however, I haven't seen a solution as of yet. One other thing, I found the only way I could put this gadget horizontal, was to not use titles above the video thumbnails. They interfere by making the next thumbnail in line, drop down about 1/4 inch so that you get a descending stair-step effect. I would like to recreate this issue. How do you do that? I can get img thumbs to show only for the first post in the list (the more recent), why? Ignore that. I fixed it :-) I don't get thumbs for the YouTube videos anyway. Hello again, I'm the one without a user name above and the long post. lol, you shouldn't ask "me" how to do anything, however, the reason the url isn't showing (I think) is because the video is from Veoh.com, and almost all other vids on my site come from youtube or google video. That's the only thing I can think of that is causing that particular problem, but I'm doing a work around that. i still don't understand why your latest post doesn't have a URL. What I did find though, is I didn't see that the default image needed to be ".png" so I changed the .jpg, and what I thought was a comma, was actually a semi-colon at the end of my image. After I got those few things taken care of, I'm now back in business, but I haven't posted anything since, so we'll see. As far as that video not having a url, it does have one in the post. I wonder why you aren't able to see some of these things? Anyway, for right now, all is well. Hopefully it will stay that way so I don't turn your hair gray. Thank-you! Can it read blogger "labels" or "catagories" or a feedburner RSS? I want it to display the recent posts of a certain label. And have tried feedbruner URL's. Thanks so much for sharing these widgets. I've tried both versions and have the same troubles with both: 1. My post doesn't show up. Could it be that I have to wait a while for it to show up? I just published the post tonight. 2. The formatting of the title isn't what I need it to be. The widget is apparently pulling styling from a subheading. I need it to reflect the styling of the heading. Is there a way that I can manually tell it that I want the font to be black at the same size as the headings? Thanks again for creating and sharing these widgets! Hold Up... i found what I was looking for and now I love this widget even more. @PrayerChristian - It should show up as soon as your feed gets updated. So if the post is present at http://www.christianprayersdaily.com/feeds/posts/default?redirect=false , then it should show up in your widget as well. and regarding the styling part, the gadget just inherits the link styling from your blog. You can alter that using CSS. I don't see it on your blog and so can't help you in that part. @Fesheca - Well that error thrown from your Blog when i last visited and that line was not there then :). It's now there and so everything is fine :)..
And the thumbnail doesn't have to be a png. It's great now. I've posted several more vids and no more problems with that. Thanks for pointing me in the right direction. One other thing, ;-) sorry!!! I blocked the navigation bar from showing, but there's about a half inch of sea foam green at the top of my page where it used to be. lol The rest of the main page is white. Any way I can make that color black so your eyes don't go right to that first thing on the page? Thanks! Hi... is there any way to make it into two column? i like this gadget but it would be great if you made a random post with this kind of gadget... I'm looking forward to it. Hello A, This is Fesheca again. ;-) I had to switch to the Chrome Browser, and other than that, the only changes I made was uploading a different heading image. No code was disturbed. Now my horizontal thumbnail widget has disappeared. It was working great too beforehand. If you can help, as always, you are greatly appreciated. Thanks in advance. Hi A, I reinstalled the widget all over again, and my Recent Post images are back. I made a few changes on where I put my default image, so Hopefully, they'll stay this time. Many thanks for this new gadget. I have problem with styling. I want to show only post title and thumbnails and thumbnails floated to left and title placed vertically centered. But, titles place top of thumbnails. But, I couldn't write right CSS for this. Is there any way to make this into a Horizontal recent post widget? I would like to add it after the blog title. Thanks! As I see, title is put above of thumbnail and summary is put side of thumbnail. When I used as summary: false, all thumbnails are seen bad , unoredered. I want to show only thumbnail and titles, so titles must be side of thumbnails. Is it possible by CSS styling? If yes, could you give a styling example, please? I am beginner blogger and find how to post thumbnail in blogger. Thanks for Tips. i can't add this.how i can add this Widgets? Thanks for this great post. I have it installed in my blog and it works splendidly fine. Hats of to you. More power! this is great! thanks bro! and do you by chance have a similar popular post widget as well ? what about some demo to show this widget work? Thanks for this, it looks good. omg i love you sooooooo much! One suggestion: it would be nice to skip the N most recent posts (i.e. begin from the second or third most recent) since it is very likely that the most recent one appears exactly at the side of the gadget. @Don - If you want to skip some posts, then Edit the Widget look for something like. This will make the widget skip the first 5 posts. Can I add more than one widget ?! they become like a mess !! Thank you so much - it is a great widget, easy to use and your help answering our questions makes it even better for customization! Appreciate you very much, happy new year! Thanks for this widget. I have a question I used your widget for 'popular posts' and using CSS (and a comment on the page) I was able to get the thumbnails to rotate. I can copy and paste but that's as far as my knowlege of CSS goes. What would be the code for this recent posts widget to get thumbnails to rotate?? Hello! I love this widget! I just have two (I think only 2) questions. 2) Is there any way to change how the date is displayed? I have a basic understanding of CSS, but I'm no pro, lol. Thanks in advance! Hello, Thanks for the widget. I want to change the thumbnail size. How to do this ?? Awesome Widget! This was exactly what I needed and was looking for. Thank you very much! I know the font is taken from the page but is there anyway I can change the font size on just the Widgit? I've tried to do it in so many ways but I just can;t figure it out without change the font on my entire page. Also, I'm posting two different feeds form separate blogs and I like how they combine but is there a way to have both in chronological order? Once again thank you for this Widget as its greatly appreciated. Wonderful widget, thanks ;D There is some way to open the links in another window? Hi I love this widget its one of my favorites, I loaded it 2 months ago and its been working brilliantly, as of 3 posts ago (approx a week), my thumbnails are now loading side by side instead of neatly underneath each other. I have read your post and have tried to change measurements and parameters but it hasn't worked. Plus it seems it doesn't do it with every post. Do you have any ideas as i really love this widget. Is it possible to change post date format at widget like dd-mm-yyyy? Now, it is shown as Jan-dd-yyyy. I want to show thumbnails on the left to each post heading. The thumbnails size should be no more than 10 px (more like icons). Even if I change the size of the thumbnail using CSS, it still shows under each heading. I want it to appear next to the post title. Please check the gadget on www.omswami.com (Recent Posts). I am not showing summary, comments or post date. Just the post title. Thanks so much for the widget! Just to second Ahmed above, I'd love to use the widget in a few different boxes (for different label searches) on the main page. At the moment if I add a second widget, the thumbnail/summary for that widget appears under the first widget, in a slightly warped form, where ever you place the second one. Any help from anyone who knows how to stop this happening would be massively appreciated. I would like to use the widget at the "top" of my blog, which would be next to the first post. So I would like the widget of recent posts to start by listing the second most recent post. That way, I can high-light the other posts (a little bit like bloggers Magazine style) next to the top post without repeating the most, most recent one. Is this an easy thing to do?!? Thanks so much for all of your hard work! My template runs all of the post and thumb nails together, it is a standard Blogger temple, Picture Window. It looks all jumbled up. Each post needs to have a space between them. It fixed itself when I include the date and the read more. Nice look. What I would love to have is a recent post widget with thumb nails that was horizontal about 700px wide with two columns so that it would go at the top of the page and have a magazine look. RSSinclude.com has one but their ad at the bottom is way too big. Also wish that there was a dashed divider line between the post. Can somebody please help me to changhe the size of the default thumbnail? I have the html code (unfortunately I am not alowed to post it right here), following your steps, but it still doesn't work! This is my blog and the widget is the one with 12 images, on the left side! Can you please help me to change the thumbnail size to 90x130px? under my recent posts I have small thumbs going across the page how do I get rid of this? I have a private blog and it's not working, I don't see anything loaded. Does this widget only work for public blogs? I'm wondering about adding this not to my blog, but to my website. I used the "Edit Content" option to grab the html and I added this to the page where I'd like to add my recent posts on my website. It works, but the formatting is a bit off. Is there a way I can edit the formatting so that the lines of text are not so tight and have separation between the posts? Thanks for this. I was looking for how to do this in a somewhat easy way and this was the most straightforward for me. I have 2 questions. How can I add the title "recent posts" to this widget? It says it in the layout template but not actually on the blog. Also when it takes an older post it shows the default image instead of an image in the post. Is this because it is on a separate page? Like others, I'm trying to use this widget horizontally under my header. Is there a way to have the title be printed below the thumbnail, wrapped to fit? I installed the widget and it worked perfectly for the first day. Now it only shows 2 recent posts thumbnails even though I have it set to show 4 at a time. Any idea why it's doing this? And if I post more than one time per day it only shows 1 of the posts. Suggestions would be appreciated. It's doing the same thing for me and for all the blogs I read that use the same widget. Hi, firstly thanks for creating such a great widget! We are seeing the same issue as Kim explained above - any blog with the widget installed is showing a popup login screen naming the widget code and also the widget is not showing images at all. Hope the widget is fixable - it really is an integral part of our blog. Thanks again for your hard work and good luck! Yes, thank you very much for giving a fix. 'cause from my 3 column blog, the right sidebar content had dissapeared. 'Cause you deserve it for providing the best plugin I've used so far on blogger. 2) How to make title and date, comments and read to the side of the image, not above and below? Excellent widget sir! Added it to link a comment blog to my production Blogsite. Elegant in that it does one thing well. Thank you for your great contribution. It is much appreciated. What are the specific 'posts' contained in? I've tried using ul and li in every method i could think of, and I've also tried messing around with .bp_item (since the title is bp_item_title it was the best hunch i had) I'd like to change the width of the specific item as a whole create a 2 x 3 column effect. (For example my page width is 600px, so I want the items to be 290px wide and in a 2 columns, 3 rows.) CSS suggestions for this would be greatly appreciated. And finally, what is the css handle to style the 'more' option? I want to align it to the right, but it appears underneath the item image and summary, and to the left. But it fails to properly pick up the blog font. I'm using the Awesome Inc. template, i.e. a Blogger standard one. The font both on the page and in the sidebar is Trebuchet 14px, but in the widget the inherited font looks huge and cluttered, and if I reduce it to 13px it becomes Arial. So I tried to set Trebuchet manually in the widget, but it displays Times New Roman instead (the other available fonts in the widget work fine). Is the thumbnail dynamic? I need a dynamic thumbnail where it would depend on what I post. thanks. Thanks! What I like of this is the possibility to show recent updates, instead of recent new posts. That way I am able to decide which posts will show, by "updating" them. This code is doesn't work now. It ask always "A username and password are being requested by http://blogergadgets.googlecode.com. The site says: "Google Code Subversion Repository"
i want to recent posts just on the hompage and not on the other pages how do i do that ? Thank you very much for this widget. I'm trying to integrate this into my site but I'm having some issues with the background. It currently spans the entire screen. See here: http://www.siouxwire.com/ Is there a way I can alter it to match the header above it? BTW - I would be happy to include a link on my site in the right column if this works; do you have icons suitable for a dark background? Is it possible to extend the bottom margin. If you look at the site (www.siouxwire.com) it looks a little odd with the 5 pixel bottom margin. Apologies, I am unfamiliar with CSS and how to target the attribute at this specific page element. Also, is there a way to move the summary below the thumbnail so that there could be a horizontal row of thumbnails with descriptions directly below them? hey hey ..........your gadget is not available now in the bloggers gadget list......however my two blogs are still using it.......how could iadd your gadget tomy new blog??????? I have added this widget and it has changed my fonts on my blog. It has changed all my link color and I it will not allow me to fix them in the Template manager or using HTML. Please help! I am so lost on how to fix this but love the widget! Thank you so much, Aneesh! I just had the widget reinstalled and it turned out perfectly. I'm so happy. Happy holidays and have a joyful and blessed Christmas! May your New Year ahead be successful and fulfilling, filled with God's manifold blessings. For some reason it is giving me multiple of the posts. whats wrong with it? It is a very good feature, just one thing I'd like to have an answer and 2 things problematic. Question is how many posts can be shown? At its maximum? I checked but can't find such a description. Concern is firstly, the widget shows my "unpublished post" which was just slept, so I had to delete the hidden one, to use this widget. Next somehow it doesn't show some Japanese written text at all.